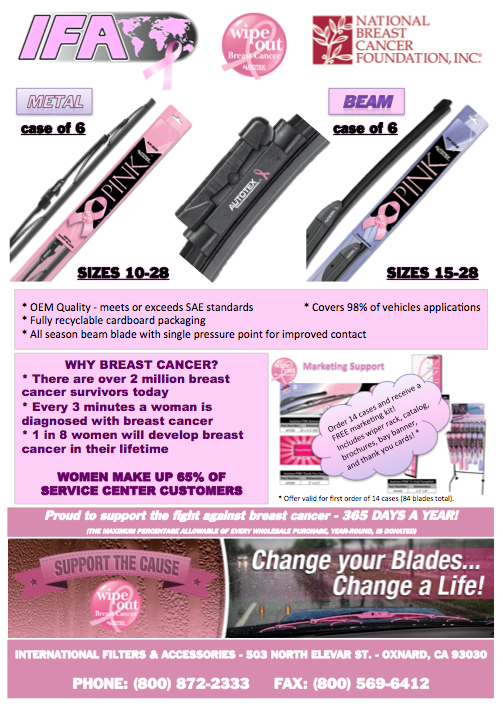 IFA is proud and honored to announce our 3rd year offering AutoTexPINK wiper blades! 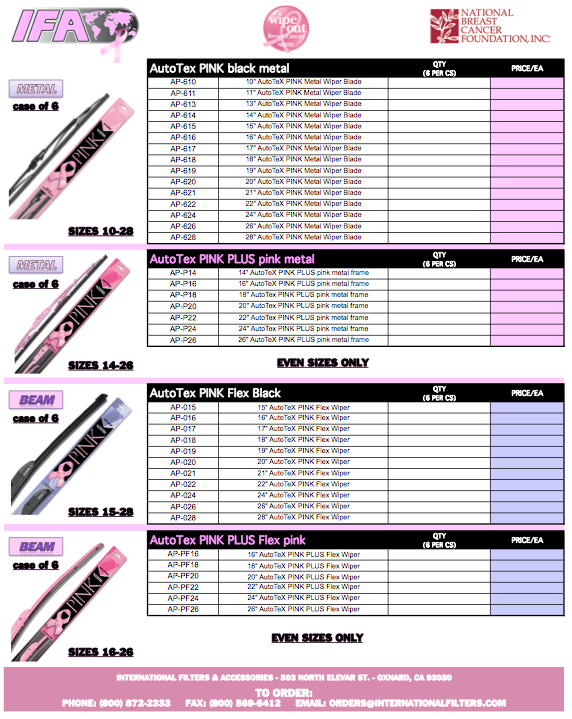 PINK BLADES AND BLACK BLADES ARE BOTH AVAILABLE! 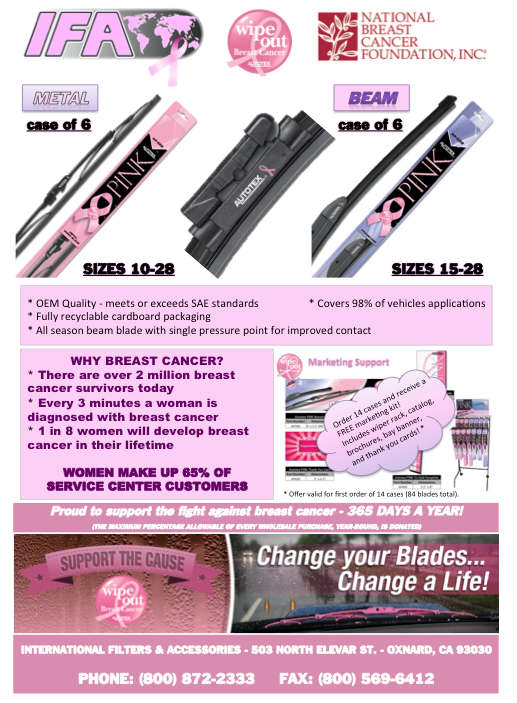 Please check out the flyers below and contact us for details. 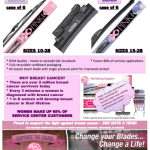 October is Breast Cancer Awareness Month – Support the Cause! 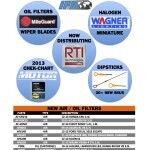 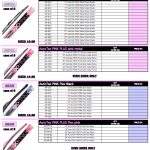 IFA is proud and honored to announce our 2nd year offering AutoTexPINK wiper blades! 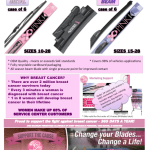 PINK BLADES AND BLACK BLADES ARE BOTH AVAILABLE. 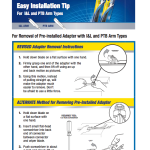 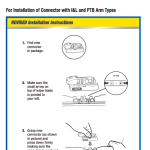 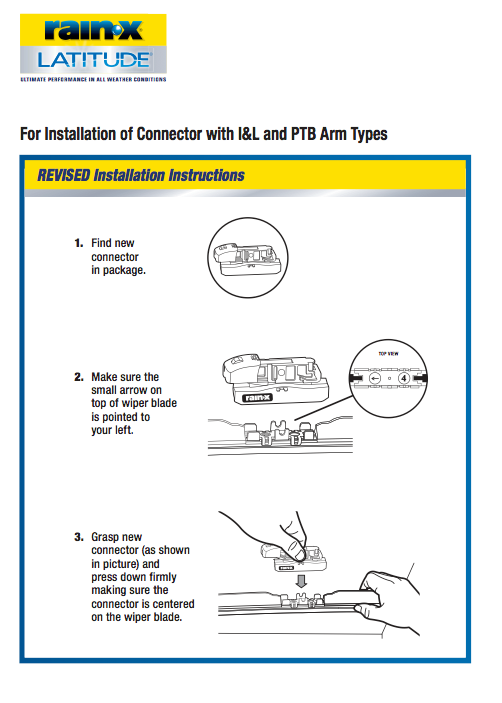 NOTE: The EZ Connector requires you to Position THE EZ CONNECTOR ON THE WIPER BLADE CORRECTLY and PRESS FIRMLY until you hear a “snap” ensuring the connector is installed securely. 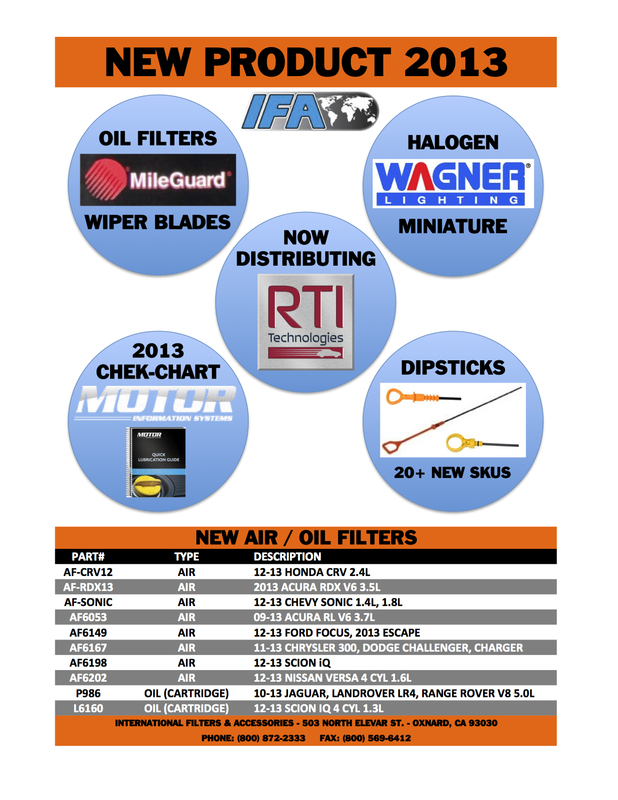 Here is our new product flyer for 2013! 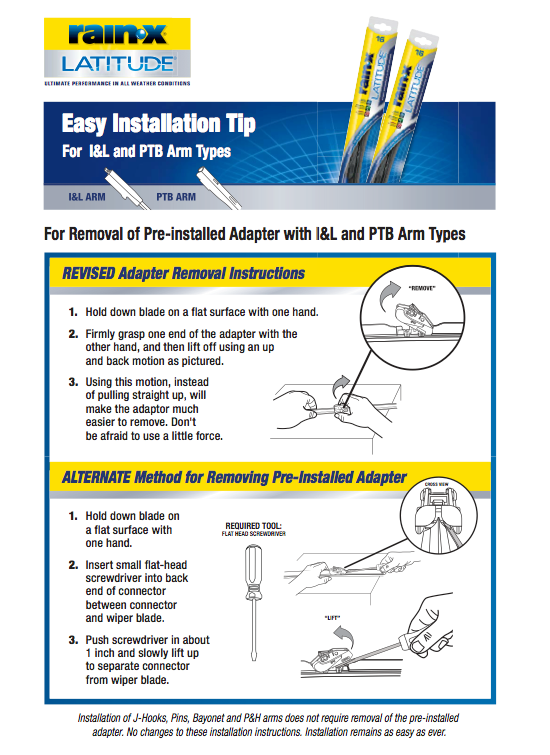 Please click for a larger image.